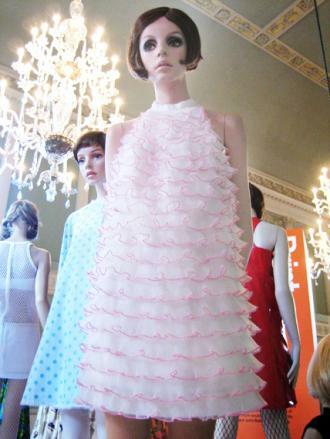 The prom dresses worn during the 1960s were influenced by Hollywood movies, politics, and even The Space Age. From funky to glamorous, there was a look for everyone. If you're looking for one of these beautiful styles, you can find both authentic vintage gowns and 60s-inspired new styles from a variety of stores and boutiques. There are several places you can shop online to find beautiful and authentic vintages dress fashions from the 60s that could work for prom. 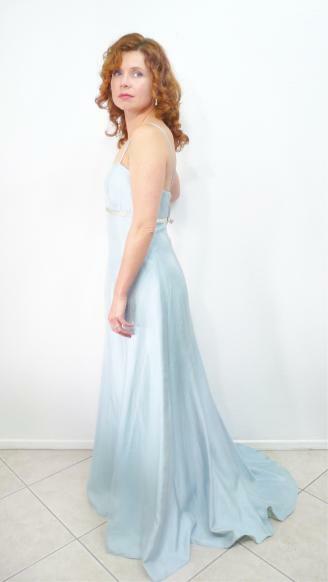 The Rusty Zipper online shop has a host of unique 1960s prom dresses, ranging from sleek long-sleeved styles with short hems to longer length dresses with beautiful layers. The company is based in Oregon and has been in business for 23 years with a small team dedicated to finding and offering authentic vintage clothing items. While styles are quite numerous, since they are authentic dresses, sizes and specific styles vary widely. Sizes are given in bust, waist, and hip measurements and a description of each dress's condition is included. Prices range from about $40 to $200. Orders are shipped out within one business day; costs vary depending on the weight and shipping location. You can return items within 15 days with your receipt. Dorthea's Closet Vintage offers a good selection of authentic vintage dresses in styles appropriate for prom, including sleeveless and sleeved cocktail dresses, full-skirted party dresses, evening gowns, and elegant sheath and mini dresses. Some standard sizes are given (S, M, or L) and others are given in bust, waist, and hip measurements; length is also included. Prices range from approximately $30 to $450, with many dresses available for under $100. Items are curated by the owner and the boutique operates only online. Shipping costs are calculated based on location, and orders are typically shipped out within 3 business days. Returns are done on a case-by-case basis and may include a restocking fee. 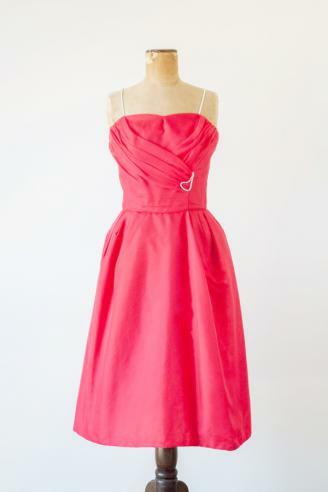 Open for Vintage is a good option for those looking for a designer style 1960s prom dress. 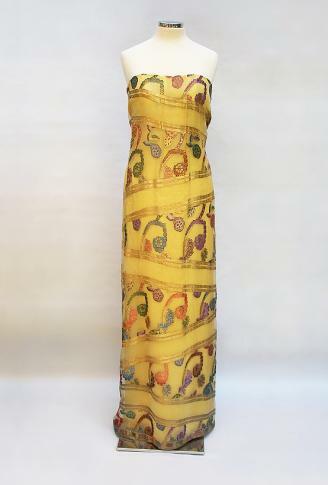 There are a variety of beautiful designer vintage dresses, in different styles and designs and ranging in price from about $160 to just over $1000. A few prom-worthy options include lace or chiffon cocktail dresses, full-length cocktail and evening dresses, and beaded or embellished options. The UK-based company ships to over 50 countries, with shipping costs based on location. Items can be returned within 14 days of receiving them and must include a return tag in order to be processed. Some items have specific sizes, such as 10-12, some are marked standard sizes S-L, and others include bust, waist, and hip measurements. 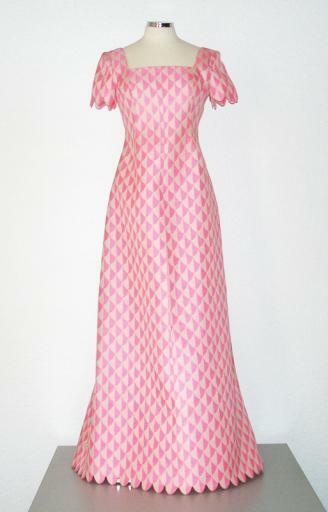 Dressing Vintage is another vintage store that has a good choice of 1960s dresses, including some full length evening gowns, as well as various cocktail dresses in satin, velvet, or lace. Most dress prices range from about $75 to $600, though there are a few collectible designs that sell for over $1000. Dresses are marked with sizes S-L as well as with bust, waist, and hip measurements in inches. In addition to their online store, the mother-daughter team behind the company operates a Portland-based boutique (by appointment only). Domestic shipping in the U.S. is free. Returns are only accepted if there is a flaw in the item and you contact the company within 24 hours of receipt to report it. You can also find a few places to shop for prom dresses that are new but are inspired by the designs of the 60s. Unique Vintage originally began as an online boutique offering vintage clothing, but when the owner introduced inspired-by vintage dresses, the overwhelming positive response led her to offer private-label clothing inspired by the past. You'll find options like full-length velvet evening dresses, short flared dresses, elegant wiggle dresses and more. Prices range from about $50 to $230, with a full range of size options from XS through XL as well as plus sizes. Shipping is a flat rate of $7, or enjoy free shipping with orders over $150. You can return unwanted items within 30 days with tags attached; exchanges can be made for different sizes only. 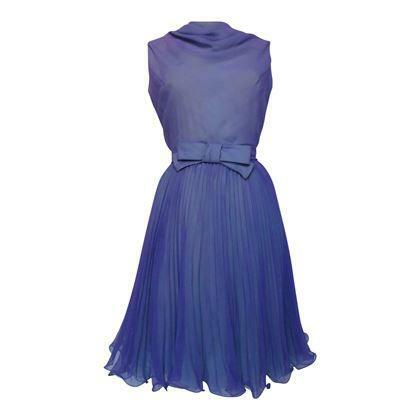 TopVintage is another online store that specializes in inspired-by vintage clothing. 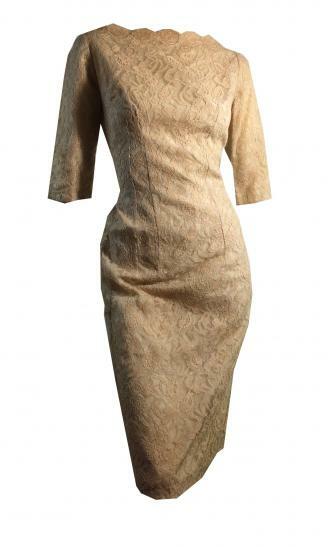 They have a nice selection of pencil dresses, cross dresses, and swing styles in floral prints, lace, velvet, and more. Many of these dresses are more simple in style than some of the more elaborate evening dresses, so it's a good option for those who want a more subtle style. It's a UK-based store, but shipping is free to the U.S. (with expected delivery times within 4 to 8 days). Sizes range from XS to XXL, with prices generally from around $50 to $150. Young women today can take their pick from any 1960s vintage or inspired-by styles for prom that meets personal preferences, but there were some specific styles that were popular during the 60s for this special night. 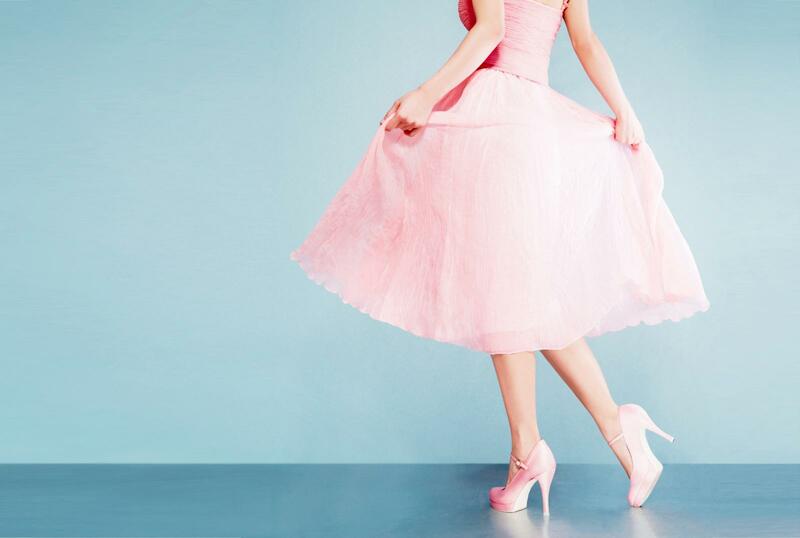 Consider the following options when shopping for the perfect vintage prom dress. In the early 60s, pastel shades were popular. Prom dresses in pretty pastel shades could be seen in young ladies during this time. Pastel shades can be worn on most skin tones, but aren't as slimming as darker colors. Many dresses from this period had feminine details, such as lace, bow details or accents, satin waist bands, brocade, beads or sequins, and even ruffles. These details can work on most body types, but bow and other more voluminous accents are ideal for thin or athletic builds as they create the illusion of more curves. The waists of dresses gradually became more raised through this decade, so by the late 60s, dresses with empire waists became popular. Empire-waist dresses work well for pear-shaped body types as they don't hug the hips or draw attention to them. They can also work well for those with an apple shape because they don't constrict or draw attention to the waist. 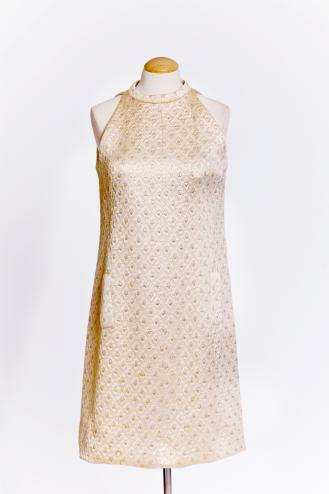 Elegant dress silhouettes were popular, such as bell-shaped skirts on dresses, gently flared styles, and sheath looks. These styles work well on most body types, but are especially suited to those with hour-glass figures because they accentuate the figure, as well as rectangular body types because they give the appearance if a slim waist and curves in the right places. 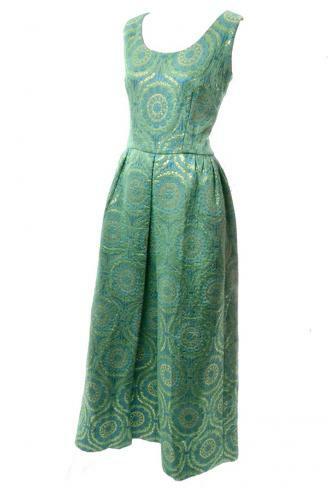 Shorter cocktail dresses, with various sleeve styles, became popular party dresses during the 60s. These are great for ladies whose legs are one of their best features, and they can work well on many body types depending on the specific style. A loose-fitting mini dress skims the body and works well for those wanting to conceal problem areas like the hips or waist, while a fitted waist and flared skirt works well for pear, hour-glass, and rectangular figures. 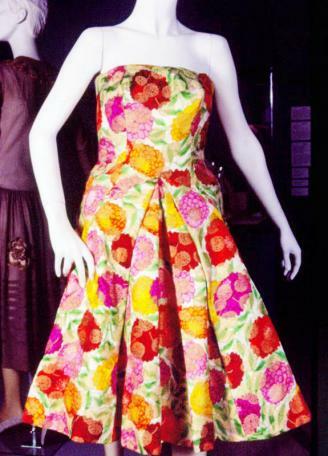 As the 60s progressed, not only did hemlines tend to become shorter, but bolder colors became more prevalent. Later in the decade, dresses in brighter or more earthy colors became popular, such as reds and oranges. If you find pastel colors make you look washed out, a brighter or richer hue may work for you. 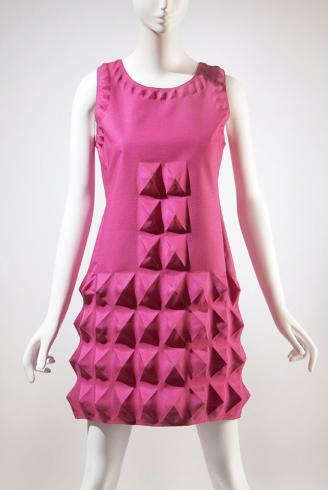 Geometric patterns also began appearing in dress styles. These offer a unique and eye catching option that makes a bold statement when worn for prom. They are also great for ladies who want to camouflage extra curves. Swing style dresses that were less form fitting and restrictive were also popular, and these are excellent for those who want to conceal the hips or give the appearance of a smaller waist. There are plenty of options that work for all body types for those looking for a vintage or vintage-inspired gown. The unique styles of this decade promise something for everyone, so just consider the look you want go for on this special night. To complete the look, consider going all out with 60s hair and makeup!